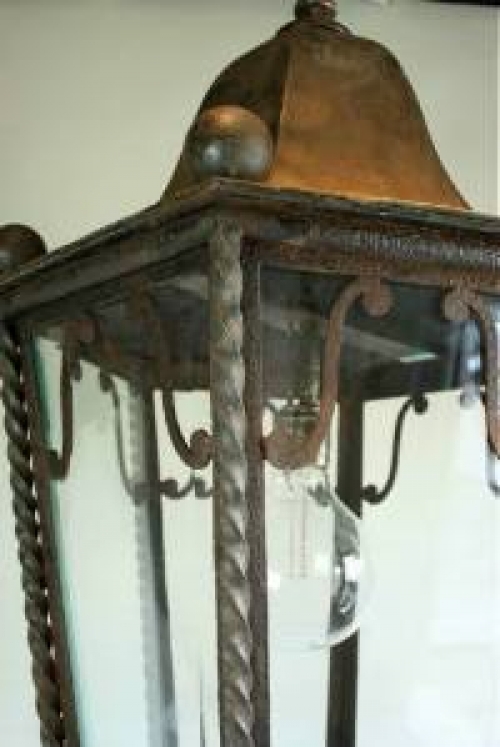 Wrought iron and painted metal with a wonderful rusty patina, this is one of the biggest and best dual purpose lanterns we have had in the showroom for a while. Tapered from the top to the bottom, we have fitted it with a Rhigi filament bulb which when dimmed shows the filament inside , but it could have a more traditional cradle and three of four light points. 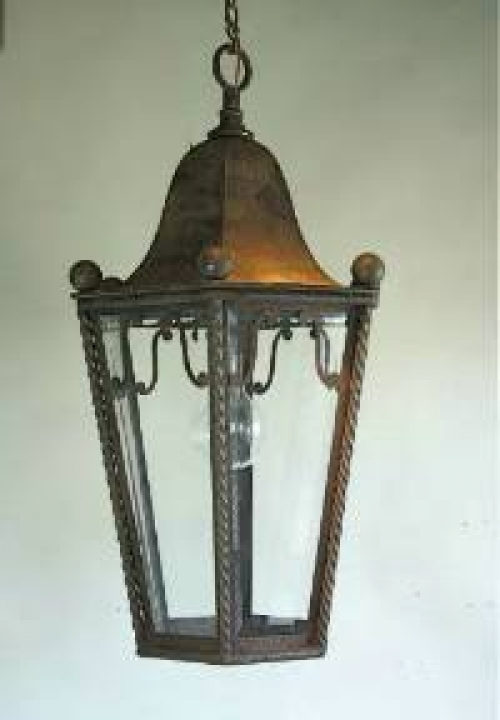 Suitable for under a portico or in a protected outside space ( we just need to change the cabling) this is a lantern with a big presence.